Restaurant Chair, Without Arms, Chrome Plated Pipe Frame, Leatherite Tapestry. Keeping in mind the diverse requirements of our clients we are involved in offering an extensive range of Restaurant Chair. These are quality tested by highly skilled quality controllers to render maximum client satisfaction. These are widely used in restaurants and are highly acclaimed among our clients for their smooth finishing and long life. Moreover, we also assure timely delivery of our products. Established in the year 2004, “Ganga Enterprises” is engaged in manufacturing of an extensive range of Commercial and Residential Furniture. Our range is widely accepted by our clients because of its durability, corrosion resistant quality and reliability. These are used across different places like homes, schools, restaurants and offices. We have in-depth experience in the domain of manufacturing Commercial and Residential Furniture. 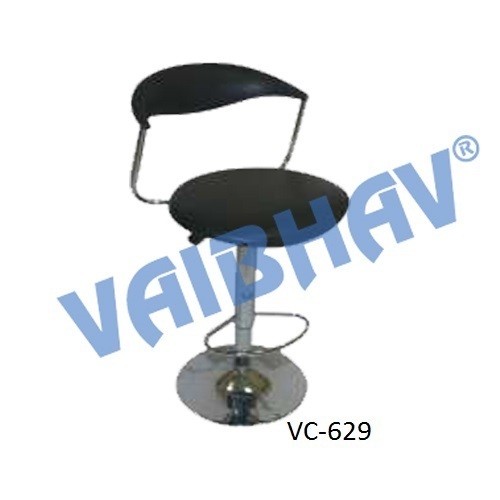 Our exclusive range of product includes Cafe Chair, Office Chairs, Sofas, Almirahs, CCTV Camera Mount and Office Tables. In addition to this, we also expertise in providing Hospital Furniture, LCD Mounts, School Furniture, Stadium And Auditorium Chairs. We work in accordance with the demands and specifications of our customers so that various measures and solutions can be incorporated for better production. Our advanced production and in-house design unit is equipped with numerous machinery, which yield excellent results. Our clients include some of the reputed names such as Delhi International Airport Ltd., Tyco Fire And Security Pvt. Ltd., Superior Furniture, Century Enterprises, Zicom Electronic Security Pvt. Ltd. and Abs India Pvt. Ltd.
Our industry experience has enabled us to manufacture the entire range of furniture in compliance with international standards of quality. The experienced professionals, high quality material and sophisticated facilities are some of the factors that gave us recognition across the country and helped us in meeting the demands of our clients within the stipulated time frame. Moreover, our research and development department keeps a track of the latest market trends to meet the requirements of our clients.